Attorneys Jeffrey L. Levy and Mary Langford focus their practice on divorce and family law matters and have more than 25 years of combined legal experience. They are committed to providing their clients with vigorous representation and highly personalized service. Attorney Jeffrey L. Levy has represented individuals in divorce and family law matters since 1997. Prior to becoming an attorney, Mr. Levy earned a Master of Business Administration degree from the University of Chicago. Mr. Levy frequently lectures to lawyers and other groups. He is active in the legal community, acting as chairman of the family law code committee of the Tennessee Bar Association, chairman of the domestic relations committee of the Nashville Bar Association and former chairman of the family law section for the Tennessee Bar Association. 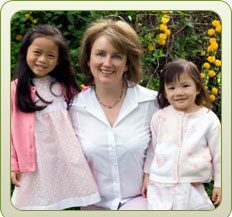 Mary Langford has focused her practice on family law issues since 1999. She is known for her attention to detail, dedication to clients and strong advocacy. She is a member of the American, Tennessee and Nashville bar associations, as well as the Law Association for Women. To learn more about our lawyers, please visit their profiles below. If you need to speak with a Nashville family law attorney, we are pleased to offer a free 30-minute consultation. We serve clients throughout Middle Tennessee. For assistance, call 615-866-0235 or contact us by e-mail.